The death of a New York City man who was placed in a chokehold by police has been ruled a homicide by the city’s medical examiner. 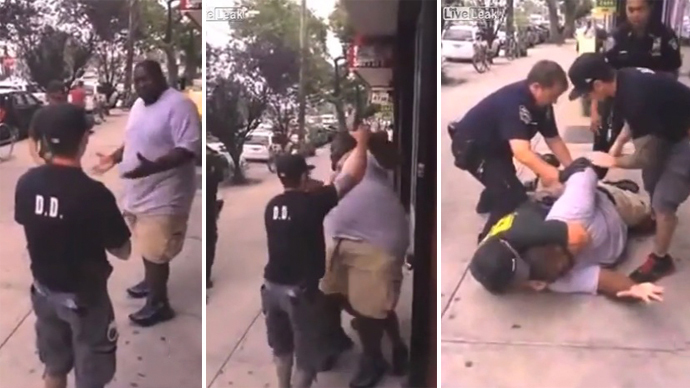 According to theAssociated Press, the medical examiner’s office confirmed on Friday that a chokehold administered by police was the cause of 43-year-old Eric Garner’s death on July 17, though asthma and heart disease were contributing factors. Specifically, Garner died due to “the compression of his chest and prone positioning during physical restraint by police,” spokeswoman Julie Bolcer said. 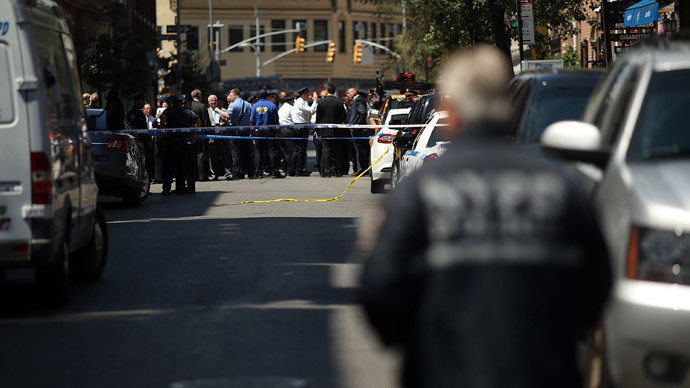 The announcement comes as the New York Police Department continues to investigate the incident, while the Justice Department is also monitoring the situation. The controversial incident began when police walked up to Garner and said they saw him selling loose cigarettes to other people, something he’d been arrested for numerous times in the past. Garner denied doing so, but was placed in a chokehold by an officer and taken to the ground with the help of at least four others. As RT noted previously, Garner screamed multiple times that he could not breathe, but eventually went into cardiac arrest and lost consciousness. He was declared dead at a local hospital. In response to the medical examiner’s findings, NYC Mayor Bill de Blasio released a statement to CBS New York addressing Garner’s family and the city in general. Speaking to the New York Daily News, Garner’s wife, Esaw, expressed relief with the medical examiner’s conclusions. She had previously criticized police for using excessive and unnecessary force. 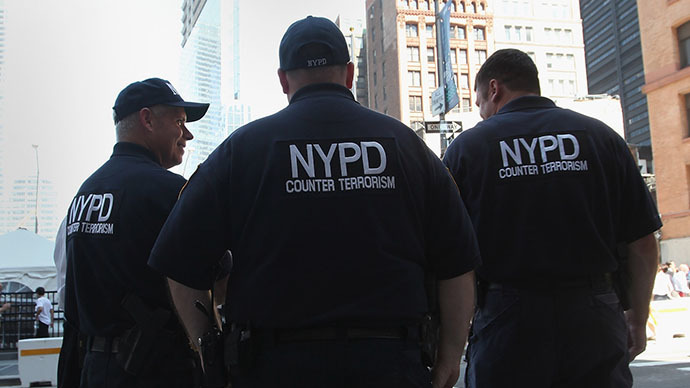 Already, Police Chief William Bratton has stated that significant reforms will be made to the NYPD’s training methods. 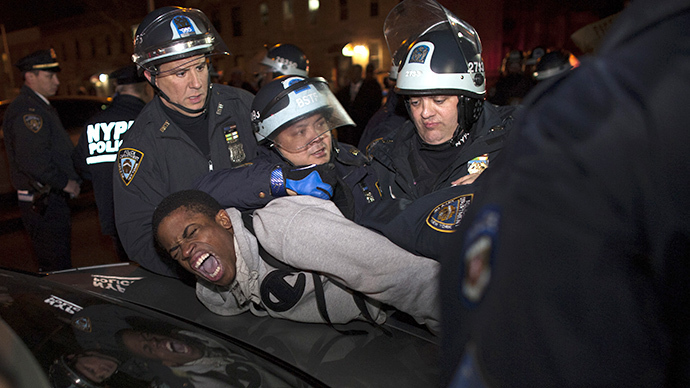 Although chokeholds have been banned since 1993, officers in New York have been accused of using it more than 1,000 times in the last five years.